It’s not as outrageous as you think! 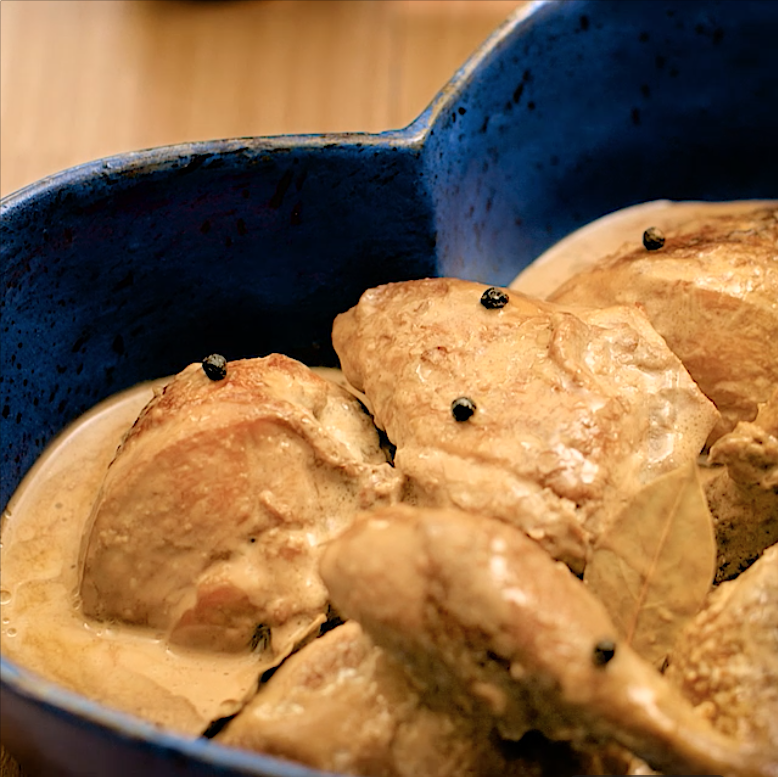 (SPOT.ph) "Creamy adobo”: a phrase that’s definitely unusual for Pinoys! For more traditionally-inclined palates, there might be some qualms when giving this dish a chance. More adventurous eaters, however, will definitely appreciate this new spin on a classic. While the adobo recipe might already be well-established, it’s still always waiting to be reinvented. In the case of creamy chicken adobo, trying it will result in a whole lot of #feels. The verdict, however, is that this is a dish that you need to learn how to make. Give it a try and expect to experience the following emotions with every passing bite. Adobo isn’t supposed to be creamy! It’s either dry or a bit sauce-y, but never creamy! Yes, everyone has a recipe for adobo–but when was it ever creamy?! For a dish that is hailed as the country’s national dish, much is at stake when making this big of a tweak. Think of what your mom said to you as a kid: "Don't say you don't like it unless you try it." Chances are, you actually had some reservations before taking that first bite. The same is with creamy chicken adobo. Because it’s creamy. And it’s chicken adobo. DOES. NOT. MAKE SENSE. Take a bite and, naturally, your taste buds look for familiar flavors. So far things seem right: the tartness of the vinegar is there, the soy sauce is on point, even the aroma from the laurel leaves is there. But it’s creamy and more flavorful. What’s going on here? As you continue to chew, you realize that the creaminess has done nothing but enhance this already flavorful dish. The sour and salty notes of adobo become highlighted, while the cream gives a unique texture that works well with the general umami of the dish. And when served with rice, the cream envelopes each grain, making every bite burst with flavor. This is actually pretty excellent! Creamy chicken adobo is LEGIT! It’s got us asking for more! 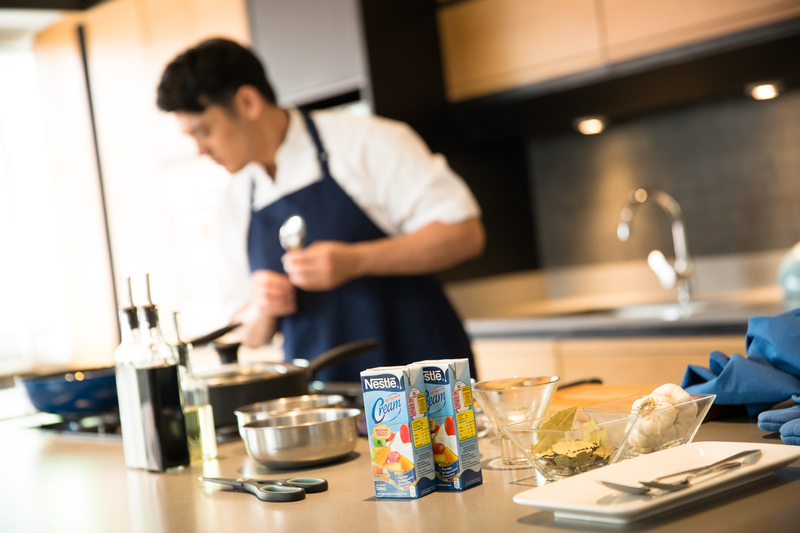 After watching NESTLÉ's commercial for creamy chicken adobo using NESTLÉ All-Purpose Cream, Chef Rob Pengson was simply compelled to try out the recipe for himself! This dish has his stamp of approval. For more ingenious recipes using NESTLÉ All-Purpose Cream, click here.